Fred’s words for his creation: “The awakening of beauty, the lady appears to be in the process of being recreated by the sea. You can see the spirits in the waves encouraging her emergence. 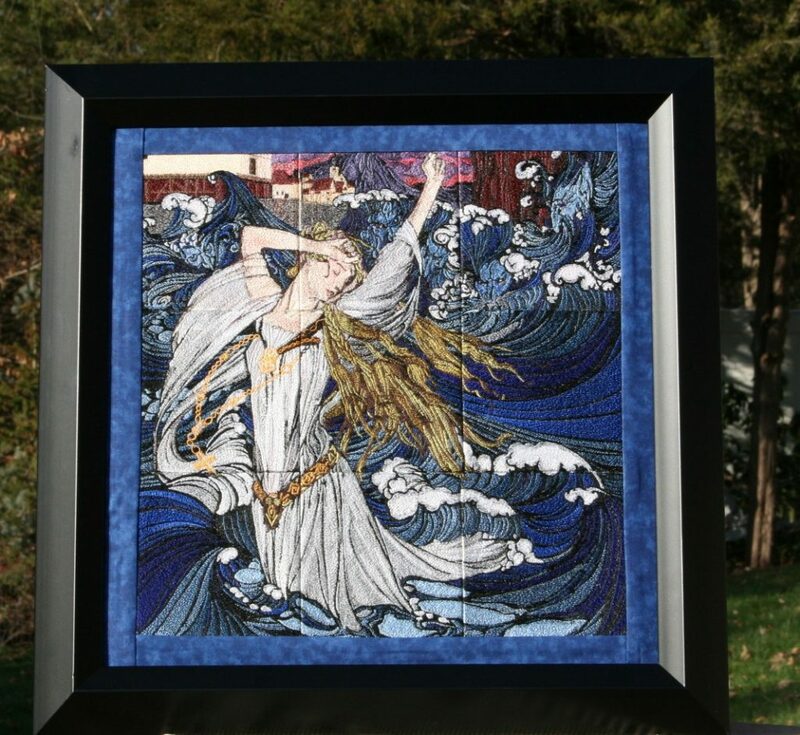 ” Genene did a beautiful job of stitching and framing this masterpiece.